The foundation to all relationships is mutual respect, integrity and trust. We believe passionately in entrepreneurship and the sense of urgency it brings. Parkview’s partnership with management is designed to achieve common objectives over an appropriate period of time. Parkview’s Partners have a deep personal commitment, with a significant proportion of their net worth at risk. Senior operating management typically co-invests and compensation is in part based on the long term value appreciation of the business. Operating management teams have a high degree of autonomy and focus on the day to day operations of their businesses.We contribute deep experience and expertise in strategy development, performance improvement, organic and acquisitive growth, and financial structuring and management. Parkview’s Partners have multiple perspectives, having worked in advisory and operating roles, with both large corporate and entrepreneurial concerns, and across a wide variety of different industries and functions. We understand the operating realities of business, while maintaining a high-level, long-term perspective of global markets and pressures on industry structures. We are free to think and act creatively and expansively, without the pressures and constraints associated with institutional equity investing. 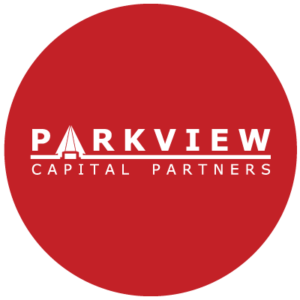 Parkview takes a patient and entrepreneurial approach to Private Equity investing, with an end goal of ultimately realizing value through sale to a strategic buyer or the public markets, or a recapitalization, depending on the prevailing market conditions and industry characteristics.